Dufftown was founded in 1817 by James Duff, 4th Earl of Fife. It is a typically planned town of the area with the main streets being laid out in the shape of a cross. It was originally created to provide accommodation and employment after the Napoleonic wars. 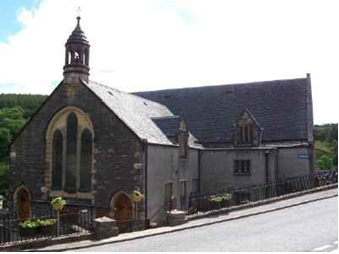 The much older village of Mortlach preceded Dufftown and still sits on the edge of the village, next to the Mortlach Church which is an ancient monument and is one of the oldest places of continual worship in Scotland. The Mortlach Church is believed to have been founded by St. Moulag in 566 and indeed it appears that prior to the building of the church, the site was used as a place of Pictish worship. 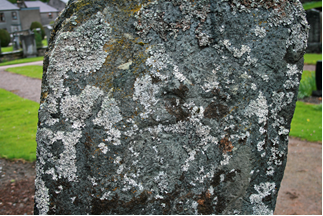 As evidence of the earlier presence in the area, there is a Pictish stone in the graveyard in the shape of a cross, known as the battle stone and standing 1.75 metres high. Another older stone, known as the elephant stone was found in the churchyard in 1925 and has now been built in to the wall of the church inside the north wing. Some parts of the original church still exist, although it has been heavily reconstructed through the years. The last heavy reconstruction took place in 1876 and more restoration work was undertaken in 1931. These events happened over 1000 years ago so what actually happened is difficult to piece together but from what we understand the events took place as follows. The Battle of Mortlach took place in 1010 and was fought by King Malcolm II against the invading Viking Danes led by Enetus (or Enecus) who was the General of the forces of Sweyn Forkbeard. Sweyn lived from 960 to 1014 and was King of Denmark, parts of Norway and later England. Malcolm II (or Mael Coluim mac Cinaeda) lived from 954 to 25 November 1034 and was King of Alba from 25 March 1005 to his death. Until Malcolm's rule the crown of Alba had passed around the House of Alpin under the law of tanistry which meant that the extended family elected the successor. Malcolm changed all this by simply wiping out all competition to his own line within the family. He succeeded to the throne by killing Kenneth III and his son Giric at the Battle of Monzievaird, just north of Crieff and close to the current site of Glenturret distillery. Malcolm's motivation was simple. He had three daughters and although his grandsons had married well their claim to the throne was not as strong as others within his family. This was a difficult time for Malcolm. He had lost to the English led by Lord Uthred in 1006 at a battle near Durham. Malcolm had invaded England as he believed the English to be too occupied dealing with their own Danish invasion to oppose him but he was wrong. In 1009 Malcolm had fought the invading Danes and lost. He was wounded in the battle and was forced to leave the Danes occupying the Moray coastline. This left the Danes with a significant base of operations which was a significant threat to Malcolm's Kingdom. The Spring of 1010 saw the Danes encroaching further up the river Spey. Using the river in flood they landed their boats, near what is now Dailuaine distillery near Carron, in significant force and even more worryingly for Malcolm the height of the river was such that the Danes could bring large enough boats to carry horses. He had to respond. Malcolm had used the period since the previous battle well and was able to engage the invaders with a significantly stronger army than the one he had led the previous year. However his army was largely made up of farmers formed as a levy or fyrd. They were poorly armed with axes or hunting spears and little battle experience. They made their camp towards the site of what is now Auchindoun Castle. The Danes were a professional army, well trained and used to fighting. They were camped within Feishum Fort on the lower summit of the Conval hills where an entrenchment protecting their camp can still be seen today. 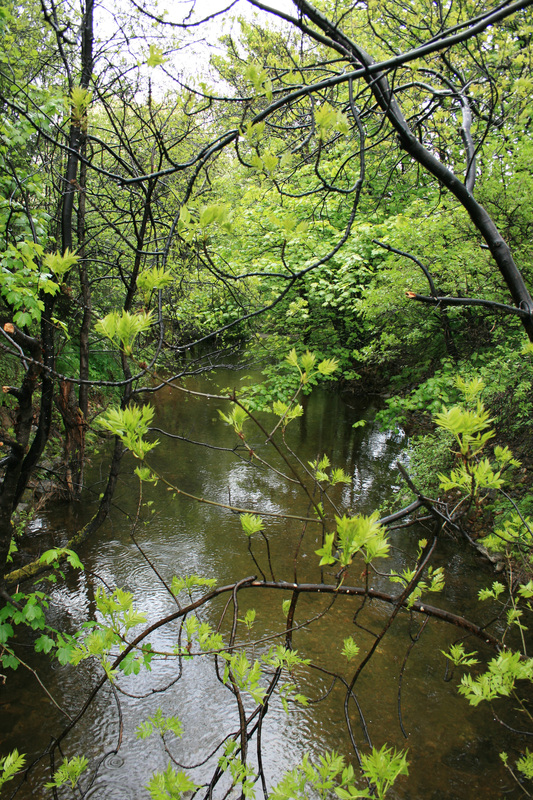 This area was referred to into the 19th Century as the Danish camp. Although the Danish Vikings would have numbered in the hundreds they were outnumbered by Malcolm's forces. From their vantage on the Convals they were aware of Malcolm's approach. They started their battle rituals of dancing and mental concentration which crescendos into aggression for the attack, known as the Berserker and when complete they advanced to meet the Scots. The first clashes of the battle were near the site between Mortlach church and what is now Mortlach distillery. The Scots emboldened by their strength attacked quickly and with speed. Enetus sent a platoon of archers to the right flank to kill the Scottish commanders. The Danes repelled the advancing Scots and the Scots suffered heavy losses. Three thrains (or lords) were slain, Kenneth of the Isles, Dunbar of Lothian, and Graeme of Strathern. The Scots, seeing that a full ground attack was imminent fled along the black water and up the course of the Dullan. Malcolm was dragged back with them. Malcolm was able to stop the retreat at the monastery dedicated to St Molocus or St Moluag and gathered his remaining forces. It is said that at this point he kneeled in the graveyard of the church and prayed for the help of God and St Molag. The monks associated with the church and nearby monastery saw that Malcolm was a good Christian and with Malcolm's promise to enlarge their church by 3 spear lengths they joined Malcolm's forces. This may have been Malcom's intention all along and the monastery would certainly have been a target for the Danes as the church was relatively wealthy and they could expect to find treasure there. At this time Christian monks were also renowned warriors. So with their help and having now the advantage of higher ground the Scots re-engaged the Danes who were spread out due to the speed of their pursuit. The tide of the battle changed , possibly almost literally, as one account has the Scots damming the Dullan the night before the battle and setting it lose on the advancing Danes to divide their army into two and making them an easier target. So this may all have been in Malcolm's plan to lure the Danes to where Mortlach church now stands and the Dullan valley narrows. Enetus was slain by the prowess alone of the king. It is said that Malcolm threw Enetus off his horse and strangled him. The Danes in their turn fly; but their rout is final and complete. They attempt to rally near to the old castle of Balvenie but this fails and Malcolm is victorious. It is said that Enetus was buried with a huge and irregularly blue-black roundish stone over his grave which was brought from his homeland. Folklore has it that for many years after the elders of the area would meet at the grave every New Year to salute the grave with a dram. The stone was later rolled some distance away and made a part of a fence around a field of corn. It seems that this stone then became known as the Aquavitae Stone as the men who struggled to move the stone were rewarded for their labour with a pint of whisky which they drank over the stone. The location of the stone has since been lost and it may have been broken up for building work during the 1860s. The rest of Enetus's men are said to be buried in a square piece of ground covered in whin or gorse on the north-west corner of Tomnamuid some 120 yards directly south from his grave. Malcolm kept his promise to enlarge what is now Mortlach Church. The 24 foot extension (3 spear lengths) is still identifiable. It is also said that there were three holes exactly of the shape of skulls in this additional part of the Mortlach church where the heads of three Danes of distinction had, as Sir John Sinclair in 1796 wrote in his The Statistical Account of Scotland with “too barbarous a triumph, been originally built in the wall." Sir John Sinclair goes on, “at whatever time, or in whatever way, three skulls may have first been put there, there they surely were and, not longer than about 30 years ago, was the last of them picked out, and tossed about by the school boys. Some things never change." The obelisk on the banks of the Dullan is said to have been erected to mark the victory. The Battle Stone is certainly a late Pictish symbol stone of green slate, and does probably date from the mid 11th century. It is a Class II stone, which means it bears Christian symbols on one side and more traditional Pictish symbols on the other. In this case the stone has an incised Celtic style cross, a pair of fish monsers, and a beast on one side, and a serpent, ox skull, bird, dog, and horseman on the other. The stone stands about 1.75 metres high (just over 5.5 feet), and can be found beside the path in the lowest part of the graveyard. The Battle Stone is only one of two Pictish stones at Mortlach. The other, probably older, is in the church vestibule. 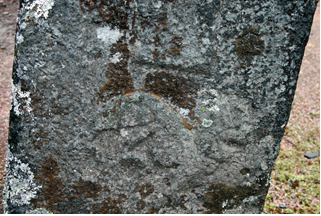 This second stone has an incised carving of a beast, possibly an elephant, and a curved symbol which may represent a brooch. From time-to-time relics of the battle have been found in the surrounding fields. Some of these were used by the local Juvenile Society on their annual boys walk which dates back to 1835. Unfortunately, most of these weapons have long since disappeared but the society's website does have pictures of parades with the boys carrying the weapons. Soon after the battle the Danes left the country but the story does not stop there. Malcolm still had to secure his kingdom. The Danes made two more invasions into Scotland. The Danish chieftain Camus invaded Angus near the site of Affleck Castle, which is just northeast of Dundee, and was slain in the process. The final attempt to invade was made in Buchan near Slains Castle on the coast in Aberdeenshire and the chieftain of that area routed the invaders. In 1014 the Danes signed a treaty with Scotland which meant that they would no longer invade ending a century of warfare and securing Scotland as an independent country. Some might say that the Danes found it much easier going in England, Ireland and Normandy and therefore would not risk the fiercer resistance they faced in Scotland. This treaty was strengthened by the marriage of one of Malcolm's daughters to the Norse Earl Sigurd of Orkney, who was of Norwegian descent, and it is suggested, had been part of the invading Danish army in 1010. This reflects the mixed make-up of the invaders who were probably drawn from many territories across North-Eastern Europe or anyone wanting to fight for land and or treasure. Malcolm made an alliance with the King of Strathclyde and they went on to win a significant victory in 1018 over the Northumbrian English and Lord Uthred at the Battle of Carham, on the River Tweed, further securing his Kingdom. Malcolm was much respected by his contemporaries. The Irish Annals refer to him as “honoured among all men". To his name was added the Gaelic epithet “Forranach" meaning destroyer which demonstrates the turn- around in his fortunes starting with the Battle of Mortlach. He was the first to reign over the extent of land equivalent to modern Scotland. Malcolm's reign finished badly. Malcolm's ally, King Owen of Strathclyde died without heir at Carham. Malcolm tried to install his grandson Duncan on the throne of Strathcylde and also named him king of Cumbria. This displeased the Britons who marched north seizing Lothian and led to Malcolm's assassination by his own nobles at Glamis on 25 November 1034 ending the ancient house of Macalpine. He was buried in the graveyard at St Oran's chapel on the Isle of Iona. Malcom's daughters had married well and it looked like his legacy was still secure. The Earl of Sigmund of Orkney went on to bring much of Caithness and Sutherland in to the Scottish kingdom. One, Bethoc, married Crinan, the Abbott of Dunkeld and their son Duncan, who's installation as King of Cumbria led to Malcolm's death, went on to succeed Malcolm as Duncan I of Alba and the House of Dunkeld was born. The third daughter married Findlaech, the sub-king of Moray. But their son, Macbeth, later killed Duncan at the Battle of Pitgaveny, near Elgin, and became King Macbeth at Scone in 1040. But that's another story. 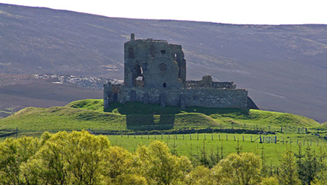 Balvenie Castle, originally known as Mortlach Castle is looked after by Historic Scotland and is a castle of enclosure with a massive curtain wall. It has changed hands and been fought over many times over the centuries. Balvenie Castle was built in the 13th century for the powerful Comyns, Earls of Buchan and fell in to the ownership of the "Black Douglases", one of the most powerful families in Scotland, in the early 14th century when the Comyns were destroyed by Robert the Bruce during the wars of independence. In turn, James II wiped out the Douglases and the castle and estate was granted to John Stewart, 1st Earl of Atholl in 1459. 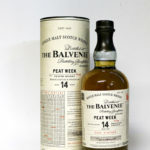 Balvenie served as a garrison for government forces during the Jacobite rebellion of 1745 and was finally abandoned after the battle of Culloden in 1746. The Duke of Fife placed the castle in to a state of care in 1929. 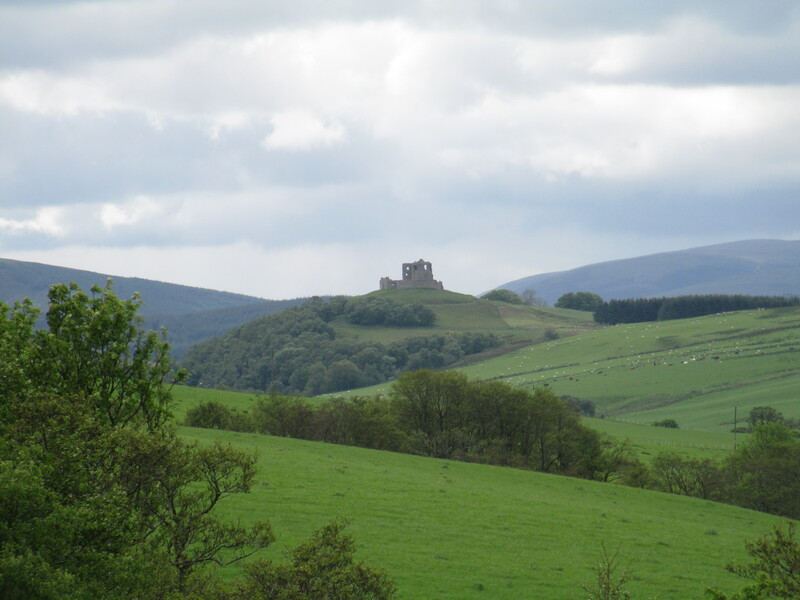 Auchindoun Castle is an L plan tower house of three storeys, built on the earthworks of an iron age hill fort near Dufftown. Auchindoun was built in the 15th century for John Stuart, Earl of Mar. John Stuart died while being held prisoner by his brother, James III. The castle, estates and titles of the Earl of Mar were bestowed on Robert Cochrane who was an architect and favourite of James III. Following the murder of Robert Cochrane, the castle passed through many hands before being taken over by the Gordon clan in 1535 but was destroyed when the Mackintosh's burned the castle in 1591 in revenge for the murder of the Bonnie Earl o' Moray by the Marquis of Huntly and Sir Patrick Gordon of Auchindoun. Auchindoun was restored after the Mackintosh's destructive rampage but fell in to disuse and by 1725 the stonework was being heavily pilfered for use in local house building. Dufftown square has an attractive clock tower. 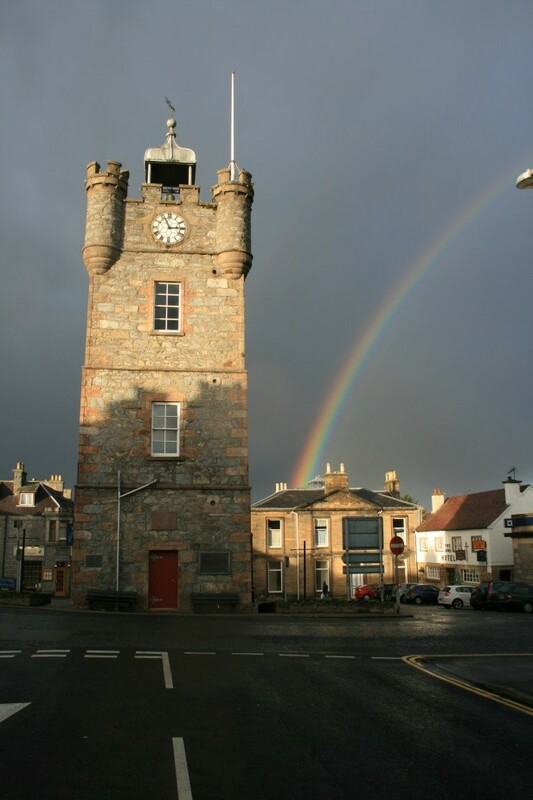 It was built in 1839 and the tower was originally the Dufftown jail. Later it became the burgh chambers. It also had a spell as private home. Until recently it housed the tourist information centre. Sadly the clock tower now stands empty waiting for a new lease of life. The clock itself was originally from Banff and is known locally as "the clock that hanged Macpherson". James Macpherson was born in 1675. He was the illegitimate son of a Scottish Laird and a gypsy girl. He was a renowned freebooter and outlaw around the north of Scotland, but particularly in the Moray area where he focused his activities towards the end of the 17th century. The story has it that Macpherson was a man of magnificent stature, strength and intellect; an expert swordsman and accomplished fiddler. His band of outlaws terrorised the landed gentry around the Moray area and he earned a reputation as a Scottish Robin Hood by stealing from the wealthy and sharing the spoils with the less fortunate. Macpherson was finally captured in Keith by a posse organised by his arch enemy, Lord Duff of Braco. He may have escaped if a woman had not thrown a blanket over him from an upstairs window. He was tried in Banff by Sheriff Nicholas Dunbar (A friend of Lord Braco) and condemned to hang for the crimes of purse cutting, theft and of being an Egyptian or gypsy. This was the last capital sentence executed in Scotland under Heritable Jurisdiction and it took place in mid November 1700. On the day of the execution, Lord Braco heard that a lone rider was approaching from Turriff with a reprieve, Legend has it that he had the town clock turned forward by fifteen minutes to ensure the execution was not stopped. While in jail Macpherson composed "Macpherson's Lament" which was later re-written by Robert Burns. It is said that Macpherson played the lament on his fiddle at the gallows and then offered the violin to anyone in the crowd who would play at his wake. When no one came forward, he broke the fiddle over his knee and said "no one will ever play Jamie Macpherson's fiddle again". Another less likely version of the story says that he broke the fiddle over the executioner's head and jumped from the platform, hanging himself. The fiddle can still be seen today in a folk museum near Newtonmore. The people involved in Moving the clock forward were punished, and for many years afterwards the clock was kept fifteen minutes fast, as a reminder of that fateful day. 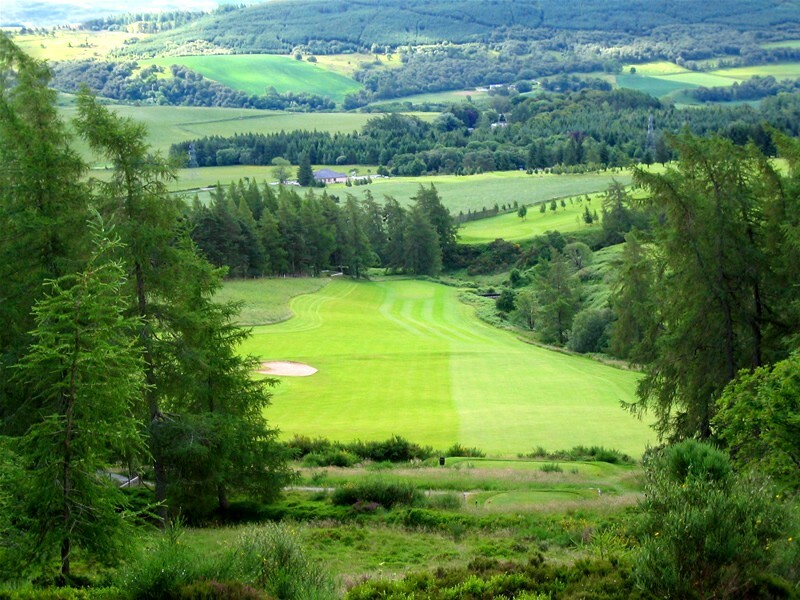 The 7th hole at Dufftown is one of the shortest holes in Scotland at 67 yards and the 10th tee at Dufftown surveys the town in the valley below from 1,213 feet with a vertical drop of 339 feet. Both the 7th and 10th holes at Dufftown feature in "Britain's 100 Extraordinary Golf Holes" by Geoff Harvey and Vanessa Stowger. Dufftown railway station sits just to the north of Dufftown on the A941. The line between Dufftown and Keith is an eleven mile stretch linking Dufftown with the market town of Keith in Moray through remarkable Speyside scenery. 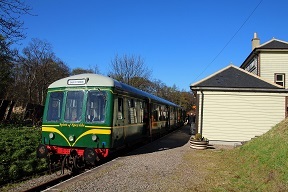 It was originally opened in 1862 but was closed by British Railways in 1991 and lay disused for almost ten years until reopened by enthusiasts and volunteers during 2000 and 2001 to operate historic locomotives. Dufftown soon became a centre for whisky distilling due to the excellent pure water sources in the area including many springs and the rivers Fiddich and Dullan. The Dufftown area was rife, in common with other areas in Moray, with illegal whisky production and the first legal distillery to be built in Dufftown was the Mortlach distillery which was completed in 1824 on the site of an illicit still. There are currently 6 distilleries operating in Dufftown which have the capacity to make 38 million litres of pure alcohol per year. This is approximately 11% of the overall capacity of the industry. You could also say that Dufftown makes the equivalent of 135 million bottles of whisky each year. Expansion work is currently being undertaken at Glenfiddich and Mortlach distilleries which should take the total capacity of the town's distilleries to over 42 million litres of pure alcohol per year by 2015. That is something like 65 million litres of new make spirit to be matured into whisky. Around 900,000 casks of whisky are maturing in the warehouses around Dufftown. This amounts to approximately 180 million litres of pure alcohol which is worth around £5 billion pounds in duty to the UK government. It is said that Dufftown earns more for the UK government per head of population than any other town or city in the UK. And it is not just the quantity of whisky that Dufftown produces. It is the quality. Glenfiddich is the number 1 Scotch whisky brand in the world and Balvenie is number 8. The Singleton Brand which includes Dufftown is the 5th. Mortlach is one of the most sort after whiskies and it would be fair to say it has cult status. If Dufftown was a whisky region in its own right it would be the third largest by capacity. 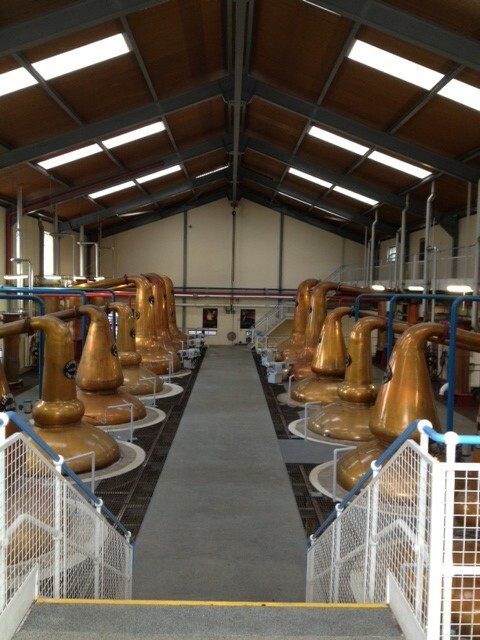 All-in-all it is no wonder that some people Dufftown the Malt Whisky Capital of the World! 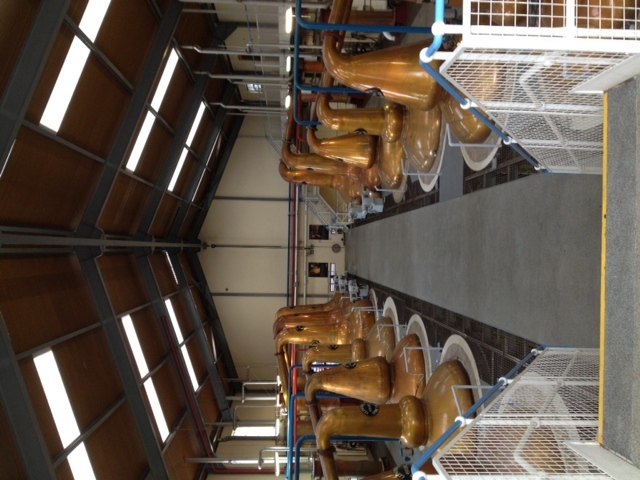 For more information about the distilleries in Dufftown see The 7 Stills of Dufftown.